You may of noticed from my Instagram feed I have recently become a bit of a plant lady. I went from a couple of cacti to an array of houseplants in a few months, at the risk of sounding like a saddo, I really enjoy sharing my home with houseplants, not only do the bring the outdoors in with the greenery, I find them calming its relaxing pottering around the house, watering and taking care of them. 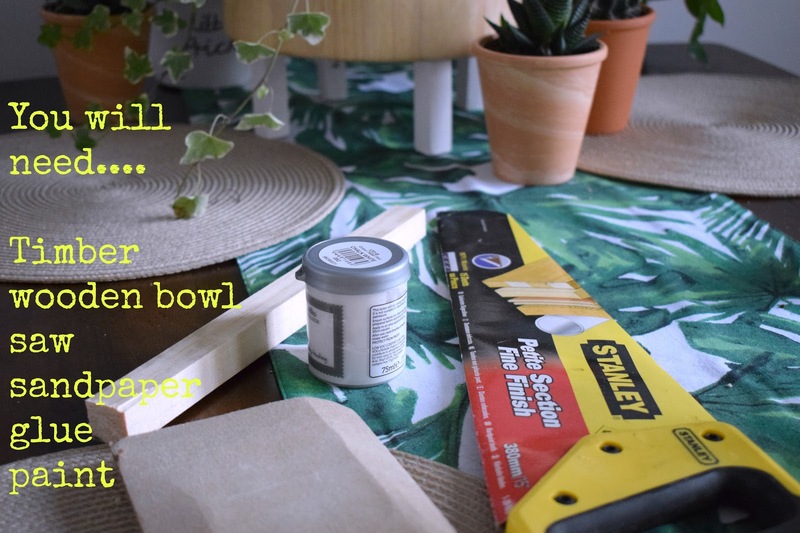 Another past time I have been enjoying recently is a bit of DIY/crafting, my husband has shown me how to use some tools and we have worked together on a couple of projects. 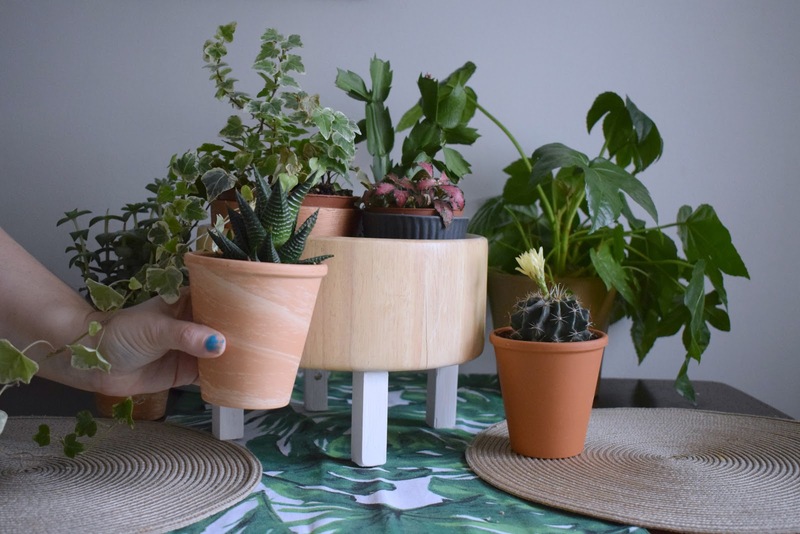 While scrolling Pinterest, something I do approx 207689 times a day, I found a few ideas for plant stands, and after the success we had making a tall one a few weeks ago, I thought I would try this simple one, and I didn't even have to buy anything. I had the timber left over from our last project, but you can pick up lengths of wood like this from B&Q for £2/3. The wooden bowl was once a salad bowl, that found its way resigned to our garage once I realised we don't eat nowhere near enough salad to warrant such a big salad server. 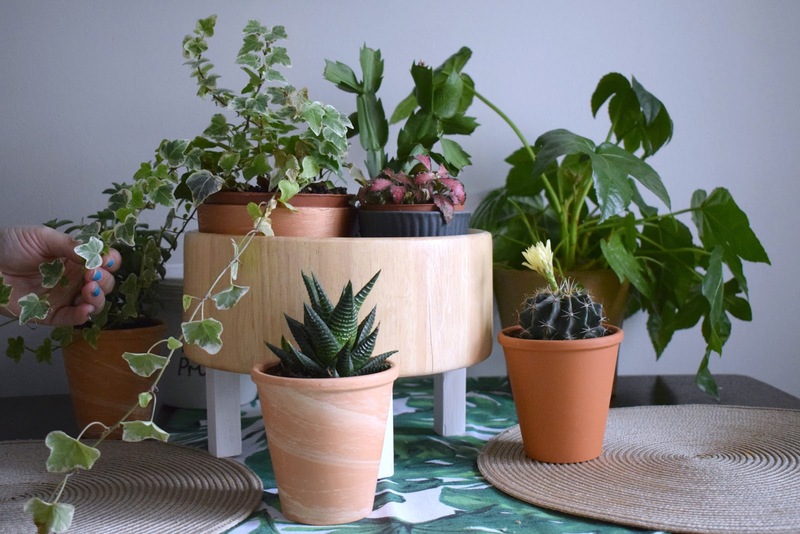 Decide how tall you want your plant stand and using a saw cut four legs to the desired length, mine has three inch legs, as I wanted this to sit on a side table in my living room rather than on the floor. Once you have your four legs, rub them down with the sandpaper to make them nice and smooth and to remove any sharp splinters. I then painted the legs white using a sample pot of paint, but you could stain, varnish or paint it's your call. I quite like the contrast between the bowl and the legs. When the legs are dry just glue in position using wood glue, I left it overnight weighted by a book just to make sure. 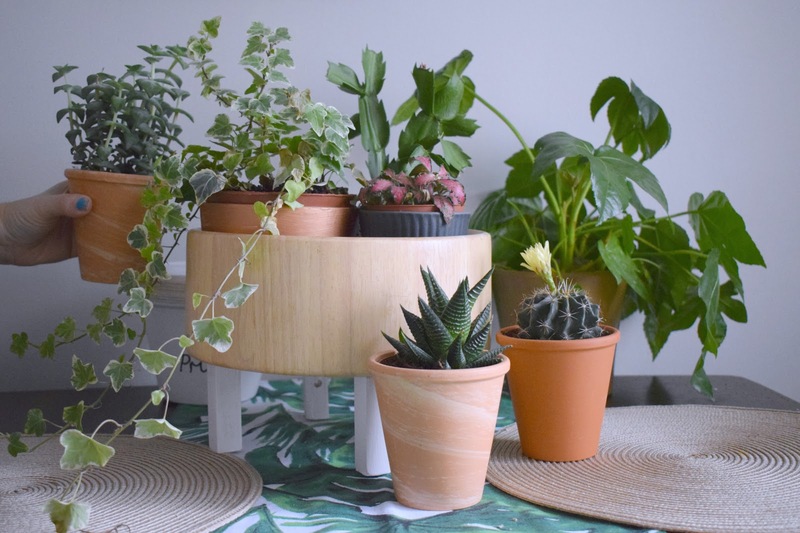 Then you have it your finished DIY plant stand, I grouped three smaller plant pots in mine but if you have one larger plant you could put that in it, again it's all up to you. I haven't written a tutorial for the first stand we made but you can see it pictured in my Getting over a bad relationship post. Or maybe you fancy decorating a plant pot, I handily have a post DIY making a cute cacti plant pot. 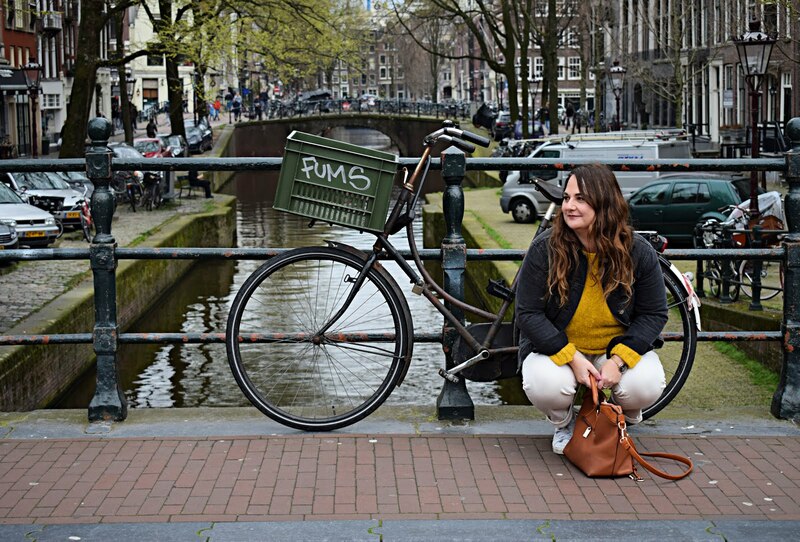 I hope you are enjoying my DIY posts along with my fashion and beauty as it something I enjoy immensely. Yesss to being a plant lady! I absolutely love this idea and sounds way simpler to achieve than I would have imagined too! Yes! I love this and I love plants :) Have a lovely day! Enjoy the sun.